"I highly recommend this title to anyone wanting a quick and painless introduction to HTML, CSS, and WordPress." 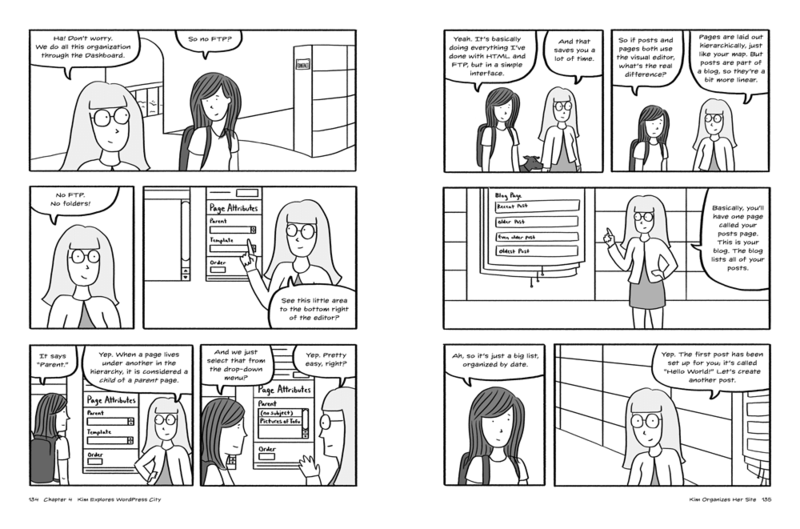 "Non-intimidating...introduces concepts at a relaxed and fun pace via the comic format." "One of the few books on the topic which entertains as well as educates." "A lighthearted how-to guide that puts students on a yellow brick road to setting up a website." Once she figures out the basics, Kim travels to WordPress City to build her first website, with Wendy, the WordPress Maven, at her side. They take control of WordPress® themes, install useful plugins, and more. The patient, step-by-step advice you’ll find in Build Your Own Website will help you get your website up and running in no time. Stop dreaming of your perfect website and start making it! Nate Cooper is an Apple-Certified trainer who teaches people how to build websites. He regularly offers classes about web basics in New York City. Kim Gee is an illustrator and graphic designer, currently living in New York City with her boyfriend and her pet dog, Tofu. 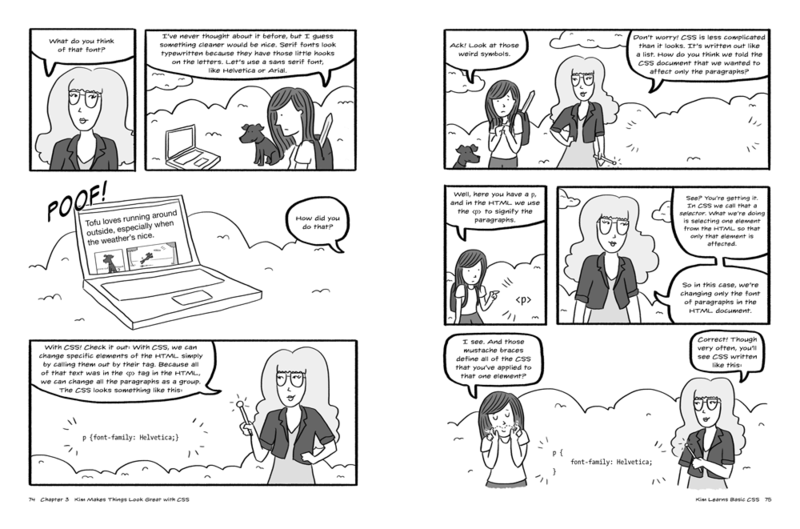 In 2010 she created her eponymous web comic and has since self-published a graphic novel and mini-comic collecting her work. Read an interview with author Nate Cooper at Technically Brooklyn. 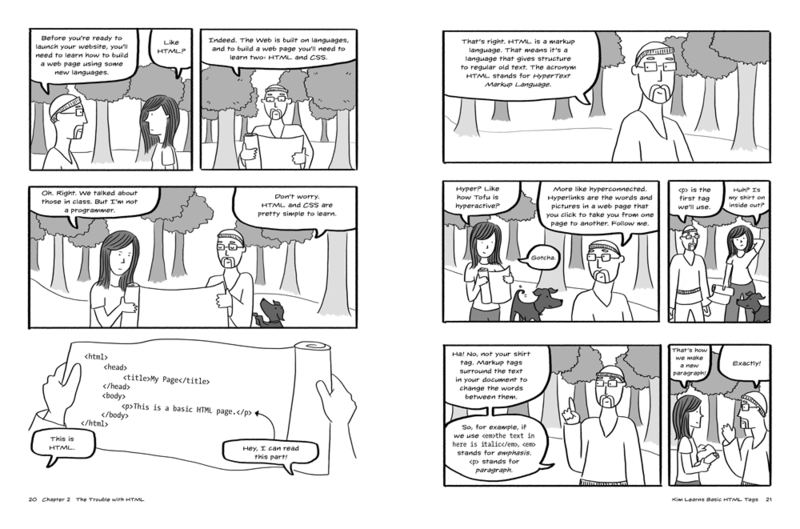 "The comic book format may be a perfect vehicle for teaching this sort of skill." 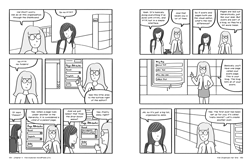 "Shows the essentials...in a fun and friendly comic strip environment."